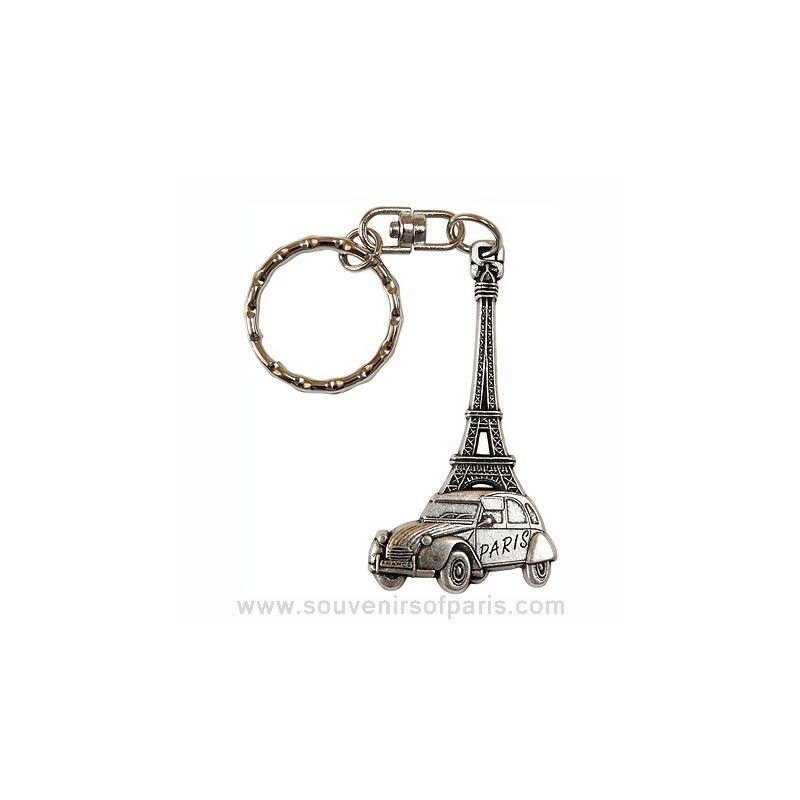 This key chain features the Eiffel Tower with the Citroën two Chevaux. 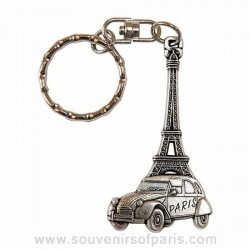 This key chain will please the lovers of the famous 2CV from French car-maker Citroën. 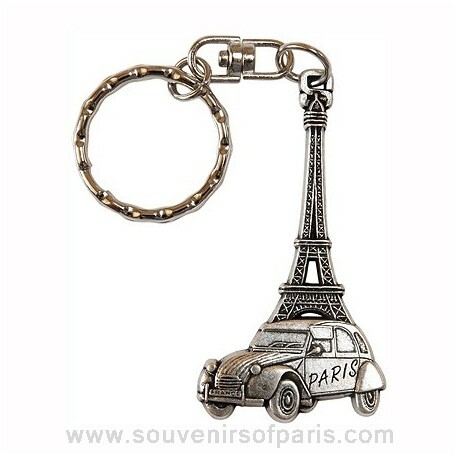 With 4.4 inch high (including the ring).